"Can I Ask That?" Legal Interviewing - the "TAKEAWAY" for Managers is a conversational, easy-to-use program for managers that explains the ins and outs of conducting a legal job interview - one that doesn't violate antidiscrimination legislation. Hiring mistakes are every manager's nightmare. This video provides you with specific methods for screening out criminal or dishonest job candidates, including five powerful interview questions. In this video, a newly promoted manager needs to quickly hire a replacement for himself. Fortunately he gets some valuable advice from a fellow employee She guides him through the entire hiring process, from planning through interviewing and finally evaluation. 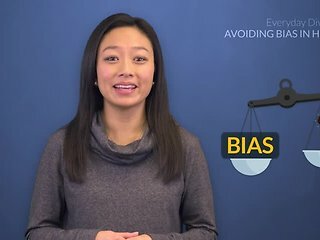 In this entertaining HR video, you'll learn "best practice" techniques that will help you find the ideal candidate for every position you need to fill—combined with proven hiring procedures for determining which applicant is most likely to be successful in your organization and as part of your team. 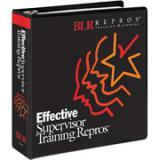 In this renowned training course, trainees learn behavior-based interviewing skills to make the right hiring decisions. Generation conflict costs billions of dollars in lost productivity to organizations like yours worldwide - not to mention the incalculable effects on motivation and morale. Now there's help with generational expert Cam Marston's new DVD course, Mixing Four Generations in the Workplace. Great interviewers are made not born ... said in a different way ... if you want recruiters and hiring managers in your organization to make great hiring decisions, they need the totalView™ online e-learning interviewer training! Our ability to accurately judge talent is hampered by unconscious and subjective distractions. Hiring decisions are affected by common biases, such as favoring tall or attractive candidates, or by superficial first impressions of likability. This practical guide provides the concepts and tools to any manager needs to recruit and hire the best person for the job. Covers legal requirements in hiring, the importance of structure in recruiting, the costs of a bad hire, and the value of a good hire. This handy training Pocket Guide tells your managers just what to do to prepare for and conduct an interview that attracts the best candidates. 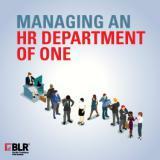 This book is designed for managers who need to meet demanding staffing needs right now or on a continuous basis. The best practices outlined in this pocket guide are presented as keys and processes supplemented by worksheets and checklists intended to give your organization the advantage when it comes time to quickly and effectively bring in the talent you need. This program will demonstrate the interview process and help your supervisors fully understand how to elicit telling characteristics and traits throughout. The A.D.A. Amendments Act (A.D.A.A.A.) was signed into law in 2008 and is now in effect! The Americans with Disabilities Act now has been clarified and significantly expanded. As a result, many more people will fall under the coverage of this important law. Different generations have different opinions about work. These days, your Boomers are headed toward retirement while your younger employees are coming in with fewer skills. Protect your organization with Legal and Effective Interviewing II: The Right Questions video program. 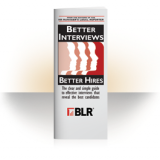 Knowing your legal boundaries is one of the most important facets of the interviewing process. 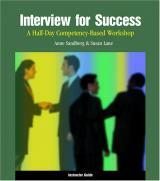 Updated best-seller that will teach you legal interviewing skills to avoid a discrimination lawsuit! Competency-based interviewing techniques will give your company a strategic focus by allowing hiring managers to integrate job-specific, future-oriented competencies into their interviews. This workshop teaches participants to identify key competencies (characteristics that differentiate outstanding performers from average performers in a given job) and build those competencies into their hiring and selection process in order to attain this strategic focus. Everyone is aware that employee retention is a growing and expensive problem for companies today. 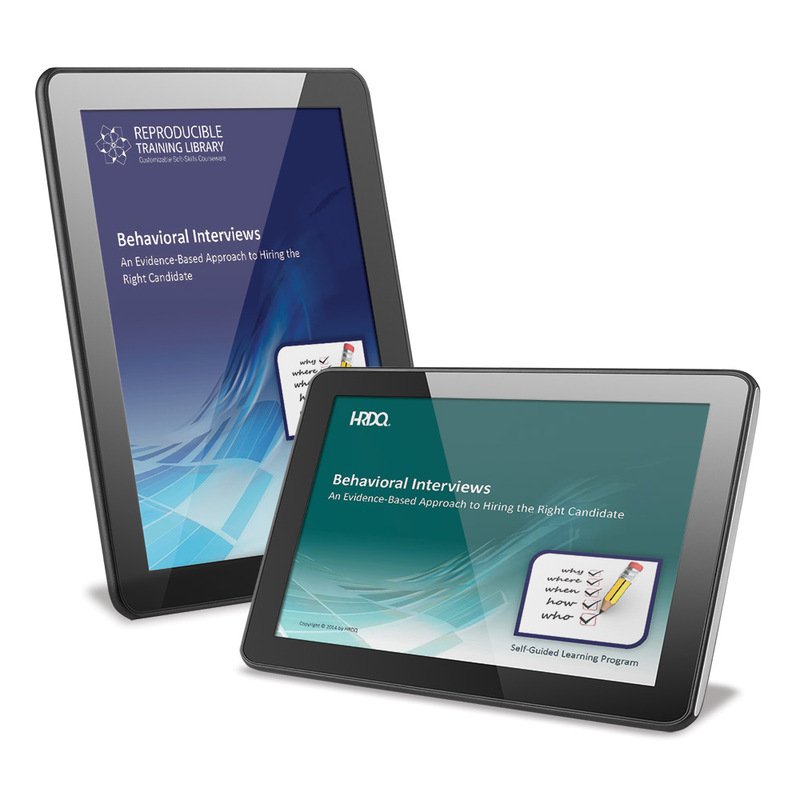 Now it's easy to help your supervisors achieve top levels of competence and productivity with these pre-written training sessions on topics ranging from team building to time management. You get 25 ready-to-use training sessions. 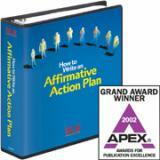 This product saves time and money by showing how to develop a sound affirmative action program before you get into hot water. It's a comprehensive manual and monthly newsletter to help keep you up-to-date. 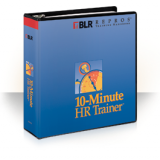 The step-by-step guide for both seasoned and new HR department sole practitioners, with clear guidance and useful instructions for energizing and engaging your workforce, and avoiding potentially expensive employment law violations. Uncover potential HR compliance problems before they arise, while making certain each policy is current and provides the best information for your company. 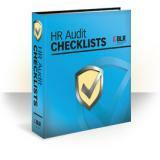 HR audit topics addressed include: How to conduct a self-audit, Affirmative action laws, EEO, Discrimination, Workplace harassment, Termination, Communication, Salary and pay, Discipline, Safety, Health and security, Retirement and pension, Benefits-including 2010 HealthCare Reform, managing flexible work schedules, telecommuting, electronic monitoring, workplace violence. 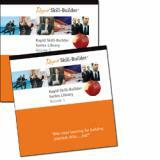 The Rapid Skillbuilder Library - 2 Volume Set comes complete with one copy of all 42 of the Rapid Skillbuilder Series. Each Volume includes 21 different skillbuilders. 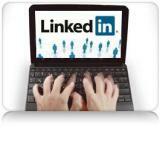 Use this on-demand webinar to learn valuable insight on using social media for recruiting. You�ll discover the best ways to use social media for building a pool of potential candidates from a seasoned recruiting expert. Think that what you wear doesn't say anything about who you are? This poster demonstrates appropriate and inappropriate job interview clothing and conduct, showing that they do have an impact on a potential employer's opinion of you. Give your organization a competitive advantage in the battle to recruit, hire and maintain a stable, high-quality workforce. Evaluating candidates in three critical dimensions capability, commitment and chemistry is the key to gaining a clear, realistic picture of a job candidate. With Get Hired! How to Ace the Interview, interviewees will be confident and prepared with the knowledge of key interviewing skills presented in this program.